We became a hearing aid dispenser to help people enjoy the sounds of their lives. Little did he know that his inspiration would continue for over 77 years and four generations of family involvement. The family business even includes the creation of Mid-States laboratories, an official provider of ear molds for our NASA astronauts. 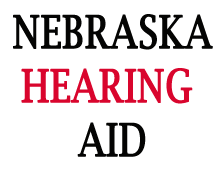 We are proud to offer complete hearing screening and hearing aid services to assist our clients in hearing conversation, whispers and normal sounds of everyday life. Lifetime care – For as long as you own your Hearing Aids, you receive service at any of over 2,600 nationwide offices. Free, unlimited ten point hearing instrument checkups. Free, unlimited hearing instrument cleanings and inspections. Free lost stolen or damaged protection policy. Free hearing instrument upgrade if you suffer specific measurable hearing loss..